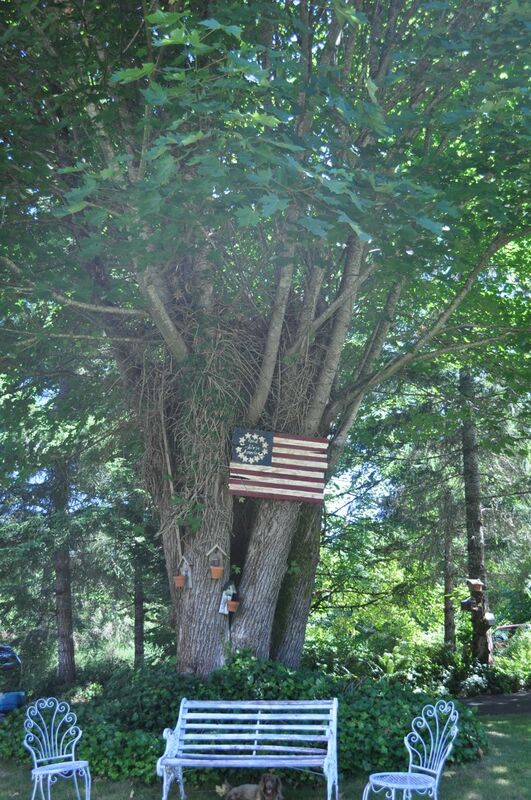 ' Homemade wood Flag - Sisters, What! I am a 4th of July enthusiast. It is a family tradition out here at the Burton homestead to have a 4th of July Party and fireworks. 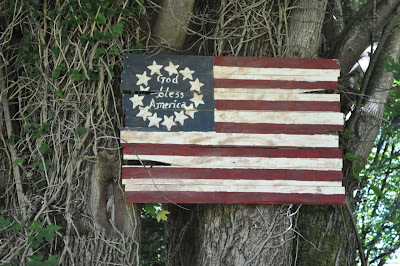 (Bought from the Local reservation) Back in June I found this amazing website called Pinterest and there I found amazing wood flag. I knew I just had to make it. 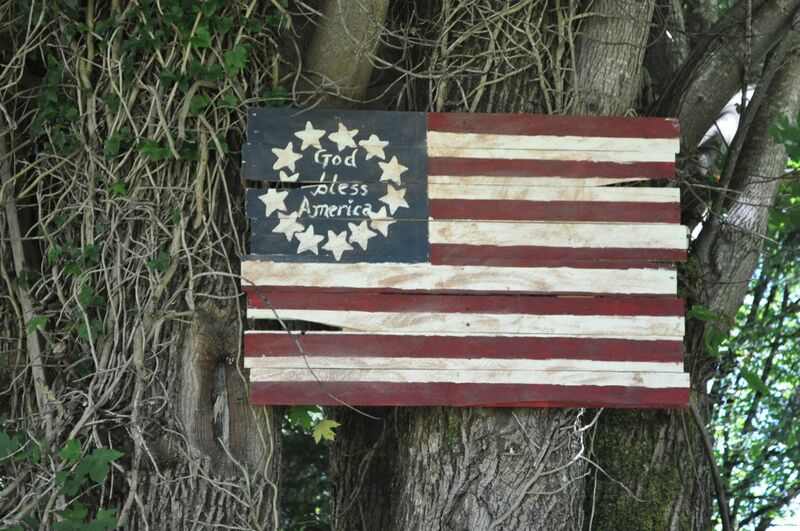 Thanks to Chicks and Gluesticks for their tutorial I now have my very own wooden flag that cost me less then $5 for paint and a free wood pallet from my Dad's work. The hardest part, pulling that pallet apart with out breaking to many pieces. I love how it turned out. My Dad hung it up in our front yard on the big maple tree and I think it might just stay there, at least until the rain starts back up again. Disclaimer: I love crafts but I love to have patterns. Most of my posts will have links to the actual tutorials. I do not claim to create anything on my own.